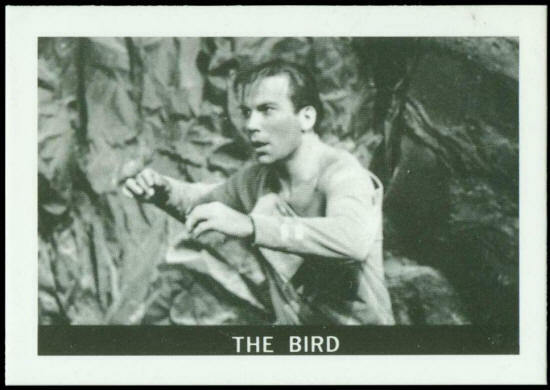 Captain Kirk attempts to infiltrate a race of strange birdlike creatures which threaten an earth colony. He hopes to move unnoticed through them, find their leader and destroy it. Clawed by many who identify the intruder, he fights through and finds the leader, a giant pulsating egg, and crushes it. 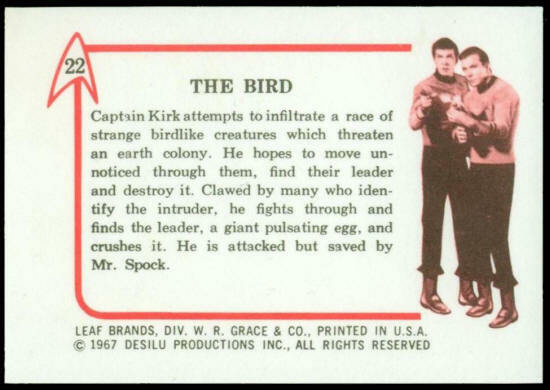 He is attacked but saved by Mr. Spock. LEAF BRANDS, DIV. W. R. GRACE & CO., PRINTED IN U.S.A.
c 31 Stalking a Killer c 67 Poison Attack!